Mellmedia is run by me, Anders Melldén, writer since 2002 with training from Poppius School of Journalism. Beverage and business magazines are my regular clients. Over the years, the missions have increased to including assignment as chief editor for the local business magazine Relation. My interest in food and beverage comes from a previous career in the restaurant business, as sommelier with qualifications from the Restaurant Academy in Stockholm, and training in food and beverage at IMI, Lucerne, Switzerland. Coming into the wine writer path through my own newsletters, I now work full-time as freelance writer, editor, chief editor and project manager in the media. Whisky & Bourbon, spirits magazine, 15 000 issues, 4 times/year. Here is one example of what I have written in English. Right now I am working with a book about rosé wine – the fastest growing trend in wine, both in Sweden and internationally. More information to come. High quality food items from small producers are well worth the little extra cost. That was our point of view writing ”Lite dyrare, mycket bättre mat – Nära i Uppland”. During 2011-2012 myself as a writer, Alex Giacomini (photo), Martin Andersson (chef) and Peter Assarsson (design) worked with this book visiting regional producers from Uppland, Sweden. Martin Andersson has also composed recipies suitable for everyday and weekend gastronomy. The book won first price for Best Design 2013. It’s in Swedish and can be bought via local book- and food stores and at Adlibris. Since 1999, I have worked as a consultant and lecturer at restaurants, restaurant schools, conference centers and companies that are looking for an enjoyable and interesting activity. Through my work as beverage writer, I am lucky enough to meet lots of the producers of the products that I write about. 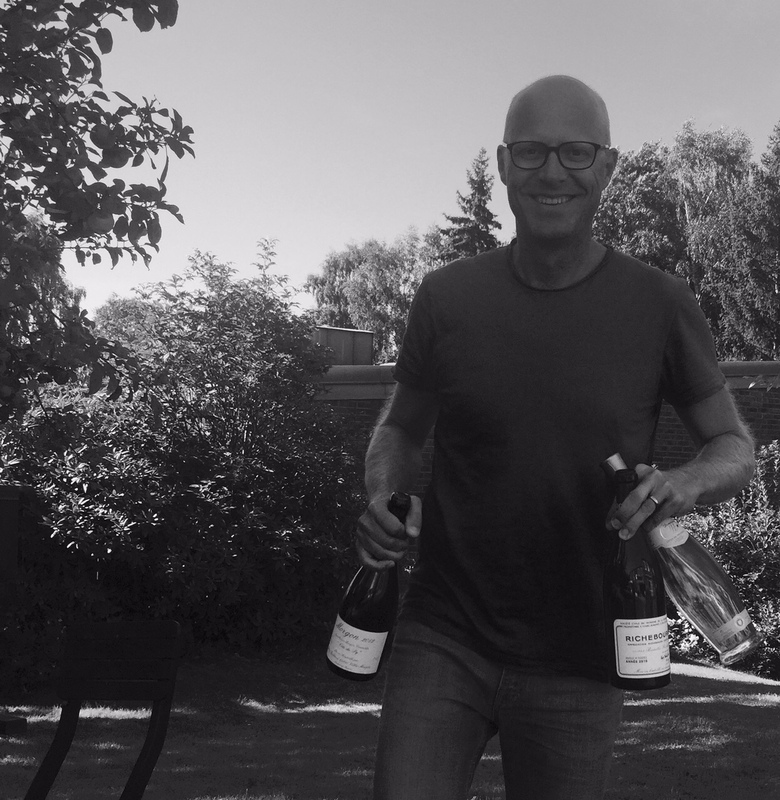 I travel around the wine regions and also critically taste and write about the wines, with around 100 wines per month being launched at Systembolaget (Sweden’s government ran and only wine and alcohol merchandiser). If you feel that I could be of benefit to any wine or food event, or would like someone to advise on your food or beverage endeavours please feel free to send any inquiry about your activity. I can tailor your event to however you want, themes can include: wines from a specific region, wine and cheese, beer from Swedish microbreweries, beers from around the world, basic whisky tasting, malt whisky, cognac, and even chocolates… the possibilities are virtually limitless.